I've been working on organizing my craft room....but I was distracted by something shiny and had to stop long enough to play. For my birthday I was gifted The Fuse. I played with it and was pleased to see how easy it is to make sealed envelopes. This card was totally made with bits left over from a previous project, which always makes me happy. 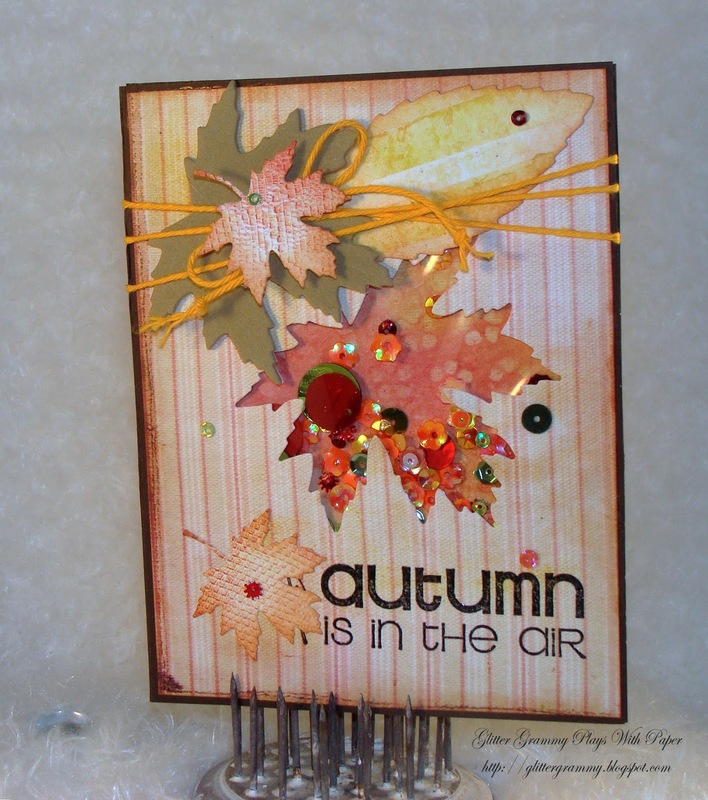 The leaves are Poppystamps dies, the stamped image is an old one. One I found in a Dollar bin at a JoAnn's store. Or I think it was a JoAnn's store. I did finish the inside, but forgot to take a photo. Silly me! Have a most wonderful crafty weekend. Fab card. I like the colours. Thank you for calling by my blog.. 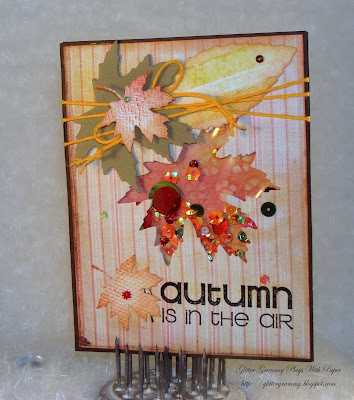 Your Fall card looks fabulous. Love the autumn colours and leaves!